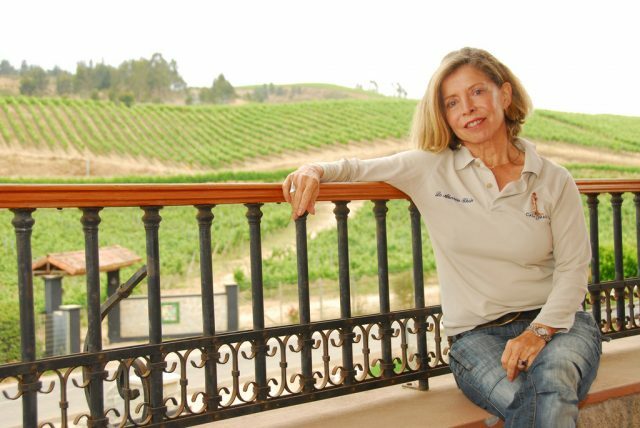 Known for her effortless charm, sharp wit and steely determination, María Luz Marín is the first female estate owner in Chile. In the year 2000 she founded Casa Marín just 8km from the Pacific Ocean in Lo Abarca, a small town in Chie’s San Antonio Valley, sinking her own money into the project after all potential investors failed to bite, having deemed the venture too risky. Prior to Casa Marín, María Luz worked making bulk wine for supermarkets around the world, renting space in wineries, buying wine from producers and creating blends according to the specifications of her clients. Her 38-hectare estate has become known for producing some of the classiest and most expensive whites in Chile. Faced with unpredictable growing seasons due to her proximity to the ocean, she makes a hero of Sauvignon Blanc, but also makes Sauvignon Gris, Gewürztraminer, Resling, Pinot Noir, Syrah and Grenache, and is due to release Chile’s first traditional method sparkling Riesling later this year. Casa Marín’s vineyard was originally a eucalyptus field, which imparted aromas of eucalyptus in its wines for the first two vintages. Marine deposits within the estate’s vineyards lend the wines an appealing salinity.